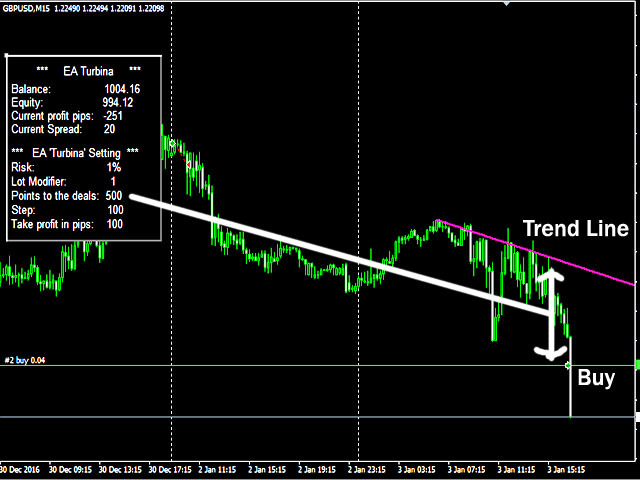 The axiom of the Forex market is that any trend will be broken. 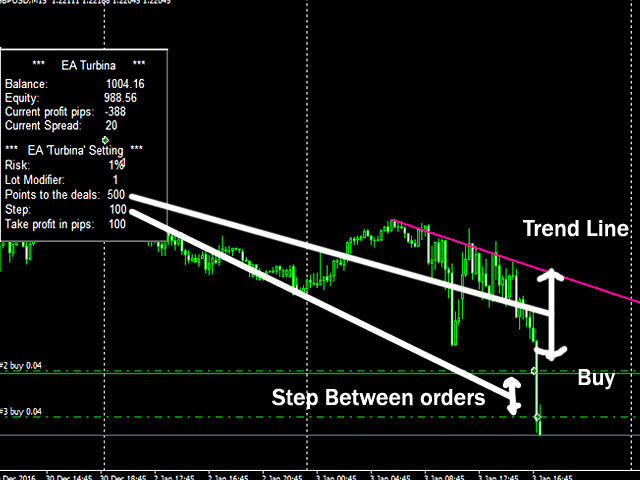 The Expert Advisor determines trend direction (the pink line), and calculates levels for opening opposite orders depending on the settings. The value of Away from the trend line for Deal will be different for each pair and timeframe, depending on the volatility of the trading instrument. Next orders can be opened with an increased lot (a static lot is used by default). See the screenshots to understand the idea of the Expert Advisor. If an order was closed on the current candlestick, no other order can not be opened on the same candlestick. 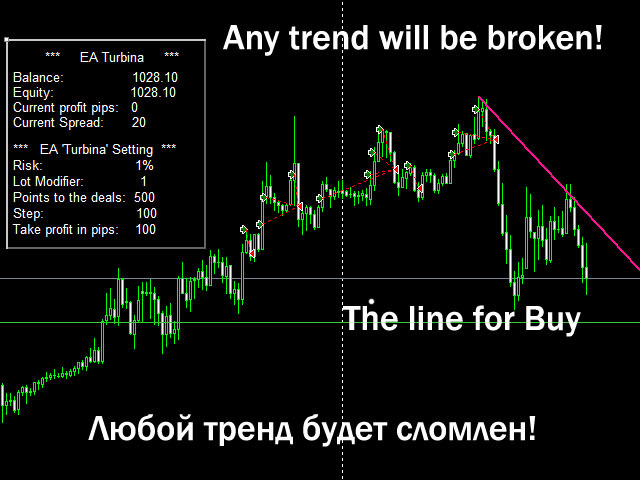 An order can only be opened on the next candlestick, when the level crosses the deal line. The Expert Advisor is based on the GoldenCoast indicator. Отличный продукт. Похоже он недооценен. Сейчас обширные тесты будут на реальных аккаунтах. Отпишу в обсуждении по итогам неск. мес. Tested and now running on live account. Seems safe and consistent profits on EU and GU 15 min. it has not been more than 2 months and it performing perfectly. Заслужено пятерка !!! Очень достойный робот . Рекомендую !! !